Create a spectacle in the entrance way. 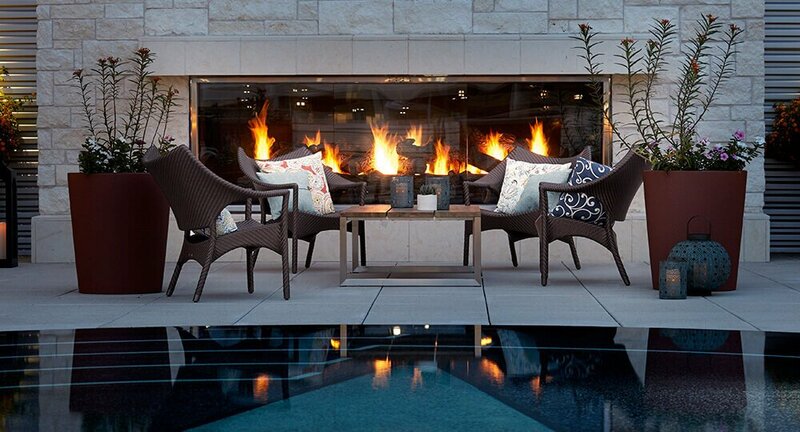 Assemble a seating area with a centerpiece of flame. Set the mood in a corridor leading to escape. Montigo offers limitless ways to configure your fireplace, making it simple for you to use incredible flame to compliment any space. For over 30 years Montigo has been working with the world leaders in the hospitality industry to make their clients’ home-away-from-home so spectacular that they simply may never want to leave. Elevate the design of the lobby with a four sided focal point that exudes luxury and opulence. 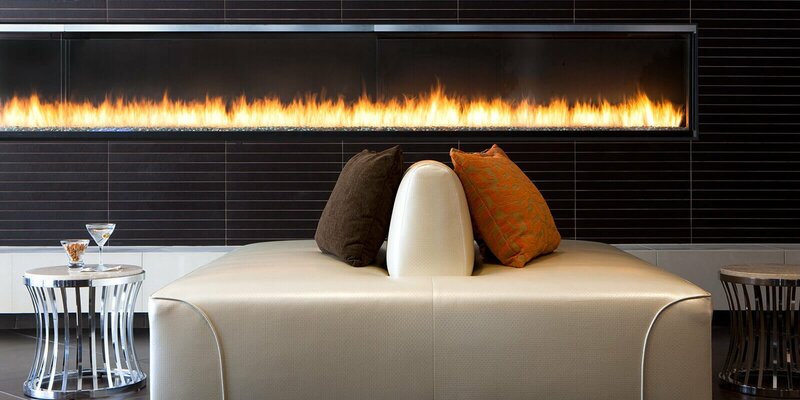 Complement that special penthouse space with a flame that flickers and dances welcoming the most discerning guest. 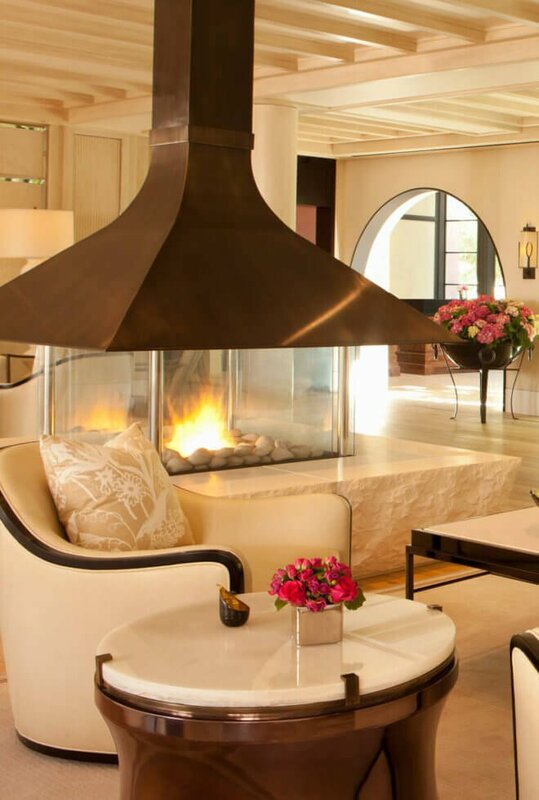 Montigo’s limitless options of custom linear and traditional fireplaces serve to foster romance, comfort, well being, ambiance and relaxation – satisfying the needs of every traveler. 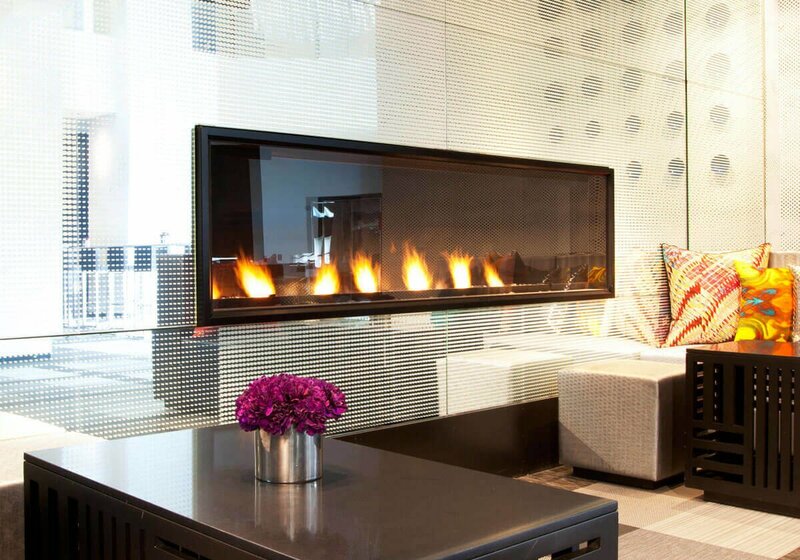 While ensuring our clients receive dramatic, beautiful, and inviting fireplace in their hotel or resort that will last for years to come is what we strive for at Montigo, there is one feature of each fireplace we build that is of unequaled importance to Montigo – Safety is paramount to the engineers at Montigo. We not only meet, but exceed the testing standards required by regulatory bodies through employing multiple built-in safety controls. Every unit passes through extensive pre-shipment testing at our in-house CSA accredited laboratory and leaves our factory bearing the CSA logo. In addition, every Montigo custom fireplace is enhanced with our proprietary COOL-Pack or Power COOL-Pack system. With two layers of glass and a cooling air wash between them, there is no need to obscure the beauty of the flame with a screen to keep your guests and staff safe. Venting capabilities beyond 500ft with several termination options and multiple air intake location options provide our installers with exceptional installation flexibility. What this really means to our clients is that there are virtually no limitations to which space in your hotel or resort you wish to enrich.